I made the worst use of my time off from work over the Christmas holiday. I got sick. My time management skills really could use some work. In any case, I didn’t get a fraction of the knitting and spinning done that I had intended to do. Ignore the housework and cooking that fell completely to the wayside; I did. The box from Susan’s Spinning Bunny arrived, and as soon as I felt well enough to sit upright (Monday and Tuesday), I sat down at the wheel. I was too dizzy to knit, but not too dizzy to spin. I may not be logical, but at least I got a little done. I chose to start here. This is her “Oriental Poppies” colorway. 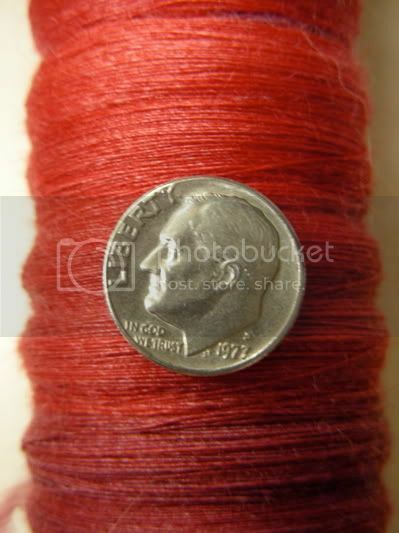 In an attempt NOT to end up with [yet another] interminable spinning project [that accidentally turned into a 4-ply laceweight], I measured my WPI. Foreground: the dyed yarn and roving. Background: trash and recycling bins. I overdyed two groups of yarn with black- they were originally a Kelly green, now they’re a deep forest green. Ally meticulously planned out her dyeing, and mine sort of just happened. 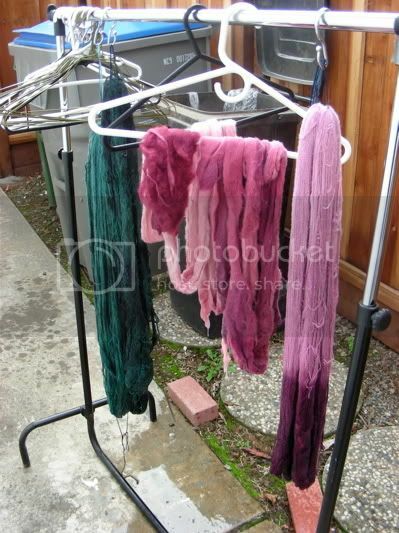 When she pulled her yarn out of the pot, I saw that a fair amount of dye was still left. 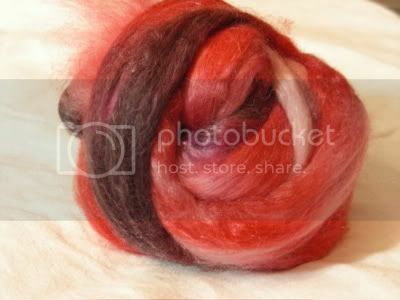 I grabbed my ten pound bump of rambouillet, pulled off a length of roving, and dropped it in to exhaust the dye. There is too much of it to plan out my dyeing, and this was less daunting. 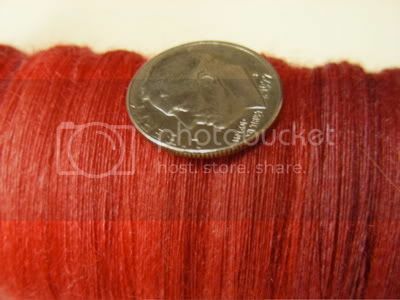 After a few minutes, I realized that I hadn’t exhausted the dye enough, so another length went into the pot. (With the green, several lengths were necessary to adequately exhaust the pot.) The exhausts should spin up as very pretty, tone-on-tone, tweedy yarn. It’s worth mentioning that the Reduran dye remover does a terrific job of getting dye off of ugly, old, linoleum counters. Not so much with fingernails, but Andrew was pretty thrilled that we don’t have a tie-dyed kitchen. In my defense, tie-dyeing the counters can ONLY improve them.